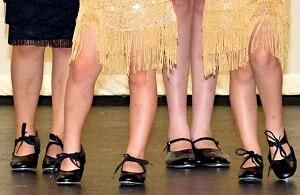 Tap dance is great fun for children as they love to make lots of noise! Its a captivating theatrical art form often seen on stage in musicals, nothing gets your feet tapping like listening to a good tap routine! Stardust run Tap dance classes on Mondays at Arbury Community Centre and Saturdays at the Kelsey Kerridge Sports Centre in Cambridge City Centre. Tap shoes are not required for the 1st class we recommend coming in hard soled shoes like trainers so you can get a feel for the class. If you wish to buy shoes please see our uniform page. Our tap dance classes will be run by Miss Hannah, you can read her personal bio on our 'About' page.